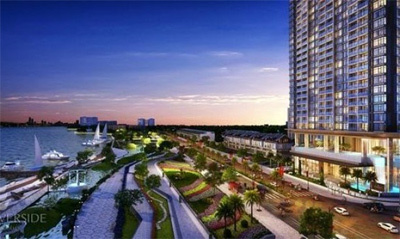 Creed Group, a Japanese investment fund, signed a contract on March 6 with Phat Dat Real Estate Development JSC (PDR) and An Gia Investment company to implement a property project worth 500 million USD in Ho Chi Minh City. Accordingly, the River City project, with 12 buildings comprising about 8,000 apartments, will be deployed in District 7. Chairman of the Japanese fund Toshihiko Muneyoshi said that Vietnam’s international integration has opened up more opportunities to draw large investors from across the world. He added that the Creed Group wishes to transfer technology and share experiences in real estate development with the property sector in Vietnam, especially in HCM City. Last year, the Creed Group cooperated with the An Gia Investment in two high-quality apartment projects to supply 2,000 units to the market. 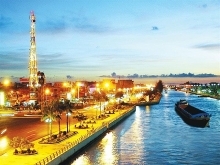 On the occasion, Chairman of PDR Nguyen Van Dat revealed that the company will implement a project worth 5 trillion VND (217 million USD) this year to build the Thu Thiem 4 bridge which will link Nguyen Van Linh avenue with the Thu Thiem New Urban Area./.